Storm Front front cover. The flag is the nautical warning sign for severe storm. Back cover of Storm Front. The nautical theme is echoed by Billy's Navy Pea Coat. 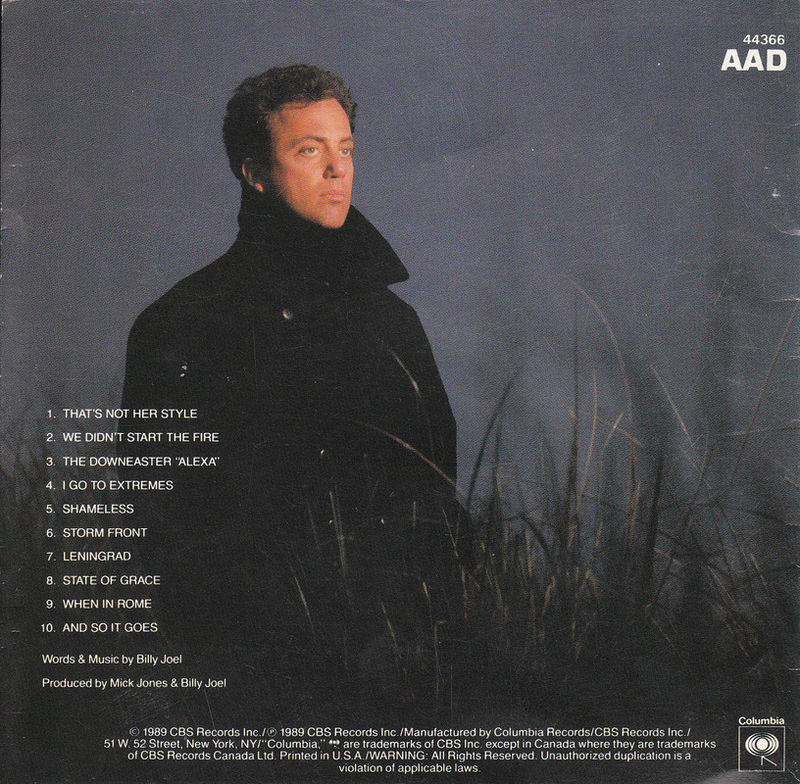 By 1989, it had been three years since Billy Joel had released The Bridge which despite solid sales and some solid songs seemed to be Billy just treading water. Still, those intervening three years had been eventful ones for Billy as he had played historic concerts in the Soviet Union, released a 2-disc live album, Kohuept, and raised his young daughter, Alexa Ray, with wife Christie Brinkley. 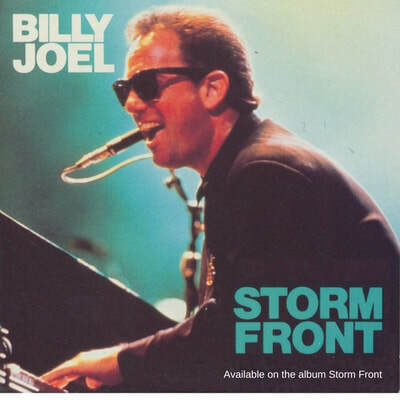 Billy came back strong with his 11th studio album Storm Front in 1989 which went to number one on the charts and featured three top 40 hits. The album had a harder, bluesier edge than did its predecessor. 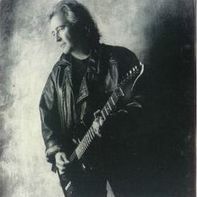 Billy worked with a new producer, Mick Jones of Foreigner, and had replaced most of his recording and touring band with new musicians including the talented multi-instrumentalists Crystal Taliefero and Mindy Jostyn (drummer Liberty DeVitto and saxophonist Mark Rivera remained) which gave Billy and his music a fresh perspective and sound. In some ways, this was a return to the blue-eyed soul and rock that Billy had first started out playing in his 60s bands The Lost Souls (later The Commandos) and The Hassles. Songs like "That's Not Her Style," "When In Rome," "I Go To Extremes" and the title track "Storm Front" were clearly reminiscent of that genre. 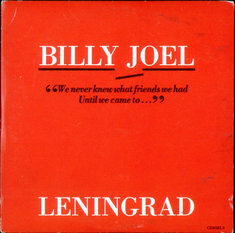 Billy also continued exploring political and social causes and themes in the touching "Leningrad" and "The Downeaster 'Alexa.'" And he released what may be his most tender and heart-breaking song, "And So It Goes," which was actually written back in 1983. ​ "My game plan for Storm Front was simply to make a better record, one that I liked. I was unhappy with the way The Bridge came out. You can hear the seams on that album – it was a bad stitching job. Christie and I'd just had Alexa, and you can hear on that record that I would rather have been at home with the baby than with the band in the studio. That's what the song "Temptation" was about – the temptation was a baby, not another woman. So yes, there's some rocky stuff on Storm Front, but anyone who's been following my career shouldn't be surprised at all. I'm not just this ballad guy – just because "Piano Man" was my first hit, some people still think of me as the piano man. But that was something I did for nine months. Most of my life I played with rock bands. white man's "rap" song, "We Didn't Start The Fire" which reached number one on the charts. The lyrics were simply a string of notable events or figures from the past four decades, and the chorus was rather routine, but it caught the attention of many people, and launched thousands of high-school term papers, projects, and videos. Billy had always been a history buff and has said that if he had not become a musician, he may have become a history teacher. Storm Front was not a return to Billy's singer-songwriter days as some hoped, so it may have disappointed some older fans, but it won him many new ones. Several of the songs seem overwrought, even bombastic in production, and lyrically there are some trite or uninspired lines. 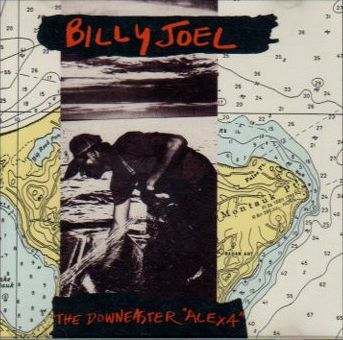 Billy swung for the fences, sometimes he hit a home run ("The Downeaster Alexa"), and sometimes he missed. 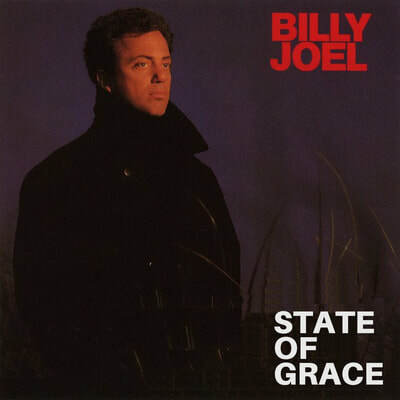 Still, while there may not be one singularly brilliant song on the album (though "The Downeaster Alexa" and "And So It Goes" come close), the album is a testament to Billy's versatility and enduring musicality. 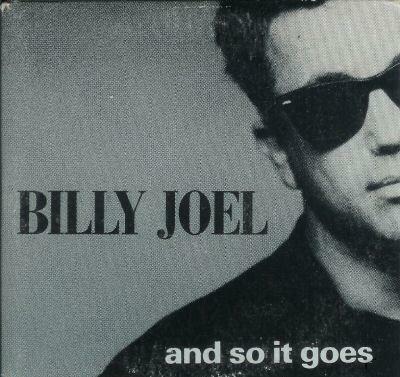 Whether you are a fan or not, you have to respect Billy Joel for always trying something different, never simply repeating the last successful album. – From "We Didn't Start The Fire"
A collection of several music videos from Storm Front were released on video as Eye of The Storm, including a live version of "The Downeaster Alexa" with jazz violinist Jean-Luc Ponty that is not available on other videos/DVDs. 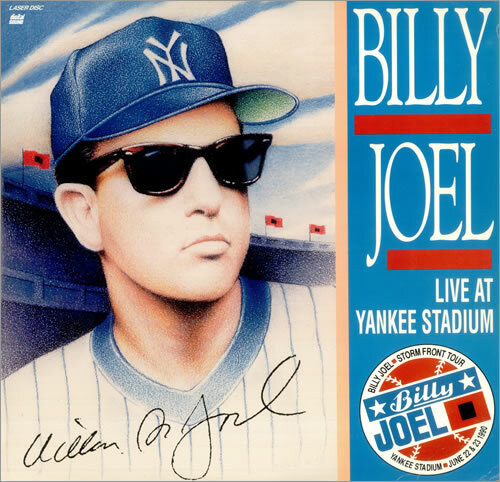 Billy's concert at Yankee Stadium in 1990 was also released on video and DVD as Billy Joel: Live from Yankee Stadium. 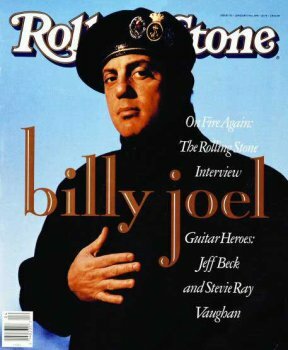 Billy made the cover of the Rolling Stone for the third time after the release of Storm Front. 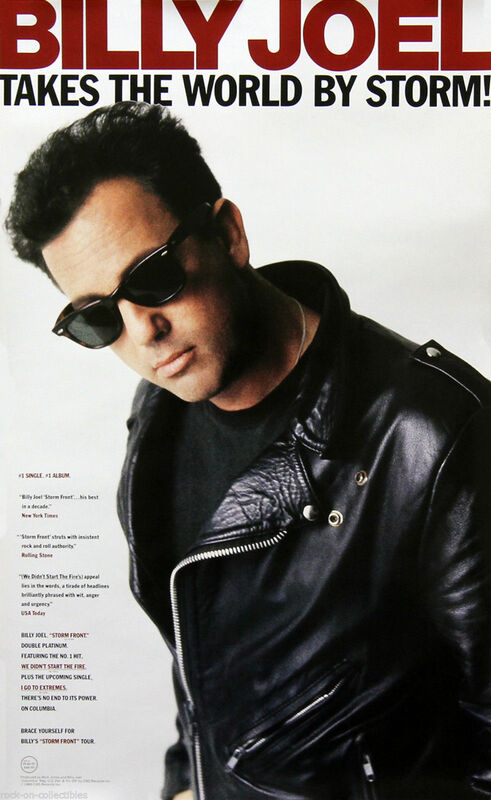 In "Billy Joel on Fire, Again: The Rolling Stone Interview" (quoted above) Billy gives readers insight into his music and life. Journalist David Wild write: "Finally it becomes clear that for all his flashes of macho bluster, the former teenage boxer punches back at those who attack him exactly because he does care, because he wants everyone to love him just the way he is." 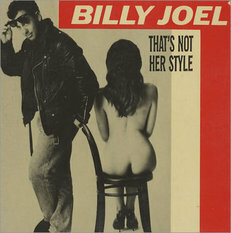 Billy also appeared on Mick Jones' self-titled album from 1989 on the song "Just Wanna Hold," as well the music video for the song, with Christie Brinkley. Billy and Mick appeared on Late Night with David Letterman in 1989 and performed the song. Billy appears briefly with Paul Schaefer and the rest of the Late Night band throughout the episode including at 4:58, 5:56 and 32:36. Many years later in 2013, Billy Joel inducted Foreigner's Mick Jones and Lour Gramm into the Songwriters Hall of Fame as true "jukebox heroes." See video here. Billy appears at 0:33. 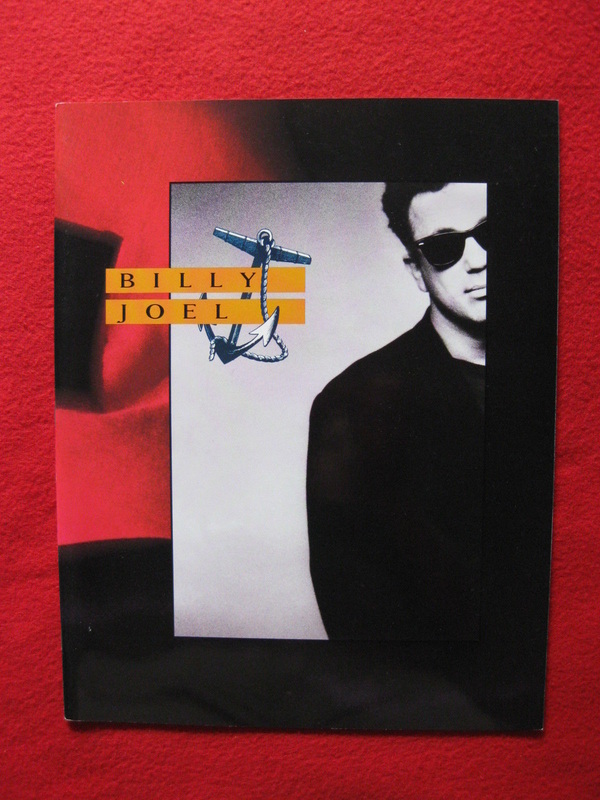 Cover of tour book for the Storm Front tour (1990). 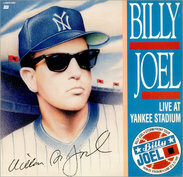 Billy's 1990 concert at Yankee Stadium was released on DVD. 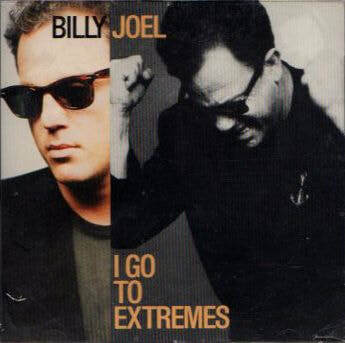 In 1989, Storm Front producer Mick Jones released his own album with Billy on keyboards for "Just Wanna Hold." Photo from album back cover. 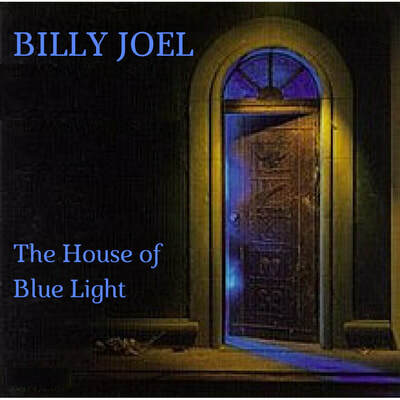 Covers for "State of Grace," "When In Rome,"and "House of Blue Light" are fictional. "House of Blue Light" art from Deep Purple album cover. Misc. Inteviews. 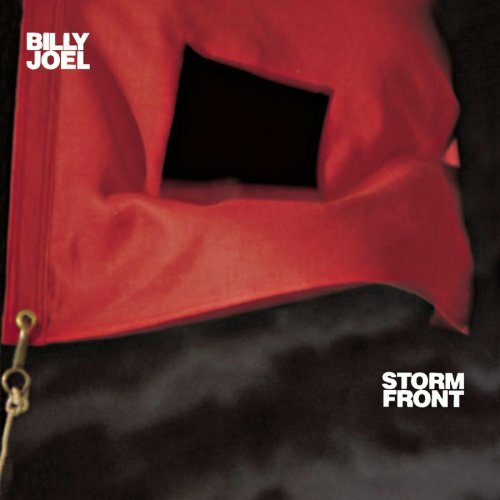 This is a playlist of videos and audio clips in which Billy discusses the Storm Front album, or are interviews and features from the period (1989-1991) when Storm Front or its singles were on the charts. The interview on the UK television program, Aspel & Company, is very good, as is the profile of Billy on the ABC television news magazine 20/20 from 1990. MTV Rockumentary. This is an MTV Rockumentary from 1990 in which Billy discusses the Storm Front album and tour, as well as his career generally. Live Misc. Appearances (1990-1992). This is a YouTube playlist of various live appearances by Billy Joel from 1990 to 1992. 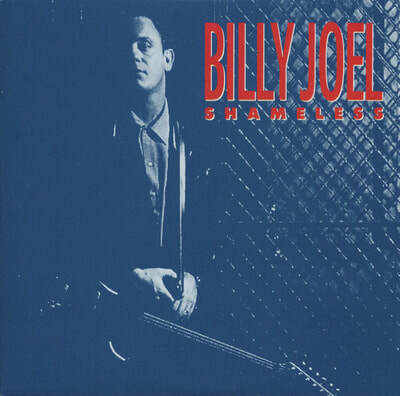 It includes a series of videos from the Grammy Legend Award show in 1991 when Billy received the award along with Aretha Franklin, Johnny Cash, and Dion. 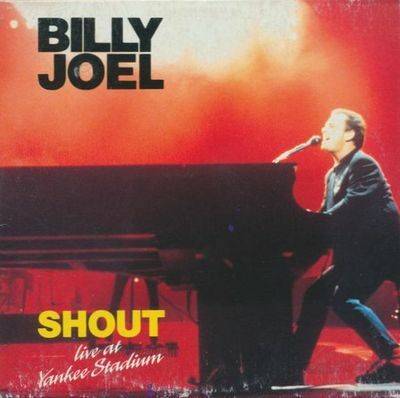 Live at Yankee Stadium (1990). This is a YouTube playlist of Billy's concerts at Yankee Stadium in 1990. His old friend Jon Small directed this professional video. 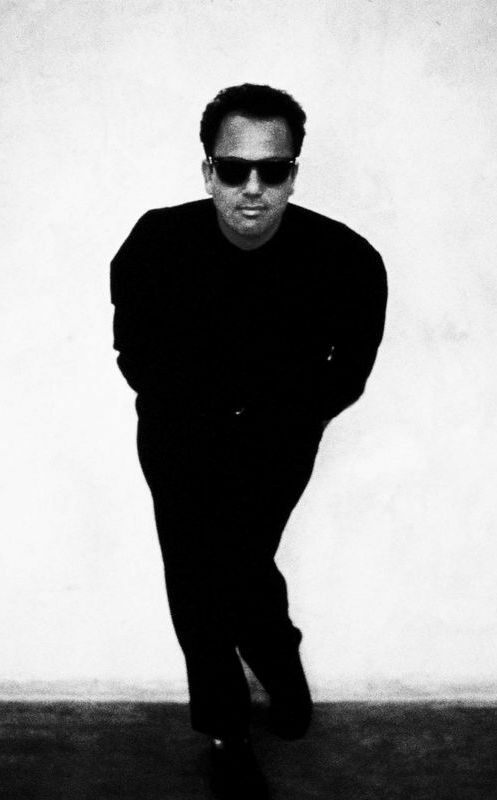 Small directed music videos for many other artists including Billy Joel. The video was released on VHS and DVD, and was nominated for a Grammy Award, however, I find the camera angles and frequent cutaways to be dizzying and distracting. Live in Syracuse and more (1990). This is a YouTube playlist that starts with a full concert video from Syracuse, New York which appears to be a professional video. The playlist also includes two full concerts from Hartford, Connecticut and Toronto. Canada which appear to be audience videos. Live at Wembley Arena (1990) (audio). This is an audio-only "video" of Billy's concert at Wembley Arena (UK) on May 26, 1990 which was broadcast on BBC radio. The speed, however, seems to be too slow and needs to be corrected. Live in Tokyo (1991). This is a televised version of a Billy Joel concert in Tokyo on the Storm Front tour. It is not a full concert, but a condensed version for Japanese television. 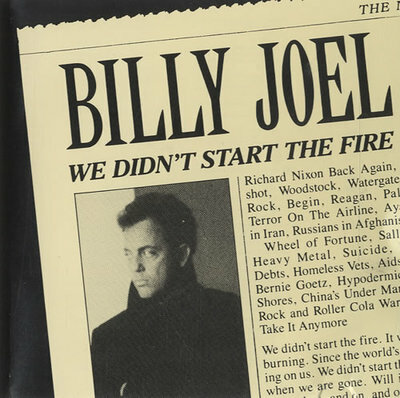 "Billy Joel, On Fire Again,"
"On Storm Front, his first studio album since The Bridge in 1986, Billy Joel throws off pop complacency for an angry, committed — and often moving — exploration of life in modern America. Defining the album's theme of lost innocence is a core of songs that evokes the desperate disorientation that has suffused American consciousness over the past decade. . . .
Musically, Storm Front struts with insistent rock & roll authority. 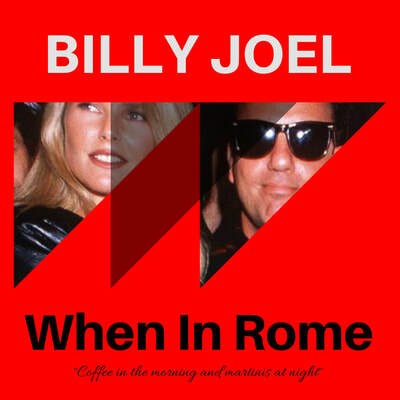 Foreigner's Mick Jones, who coproduced the album with Joel, replaces Joel's longtime collaborator Phil Ramone; as a result, the record boasts a muscular drum sound, gritty guitar work and some rousing blues-rock whomp. The producers steer clear of the Joel-Ramone penchant for epic suites and stylistic pastiche in service to Storm Front's sturdy rock & roll heart. Mick Jones: guitar on "Storm Front", guitar solo on "State of Grace"
Itzhak Perlman: violin on "The Downeaster 'Alexa'"
Background vocals: Billy Joel, Mick Jones, Richard Marx on "Storm Front" and "That's Not Her Style", Crystal Taliefero, Jeff Jacobs, Patricia Darcy-Jones, Frank Floyd, Brian Ruggles, Joe Lynn Turner, Ian Lloyd, Brenda White King, Curtis King.